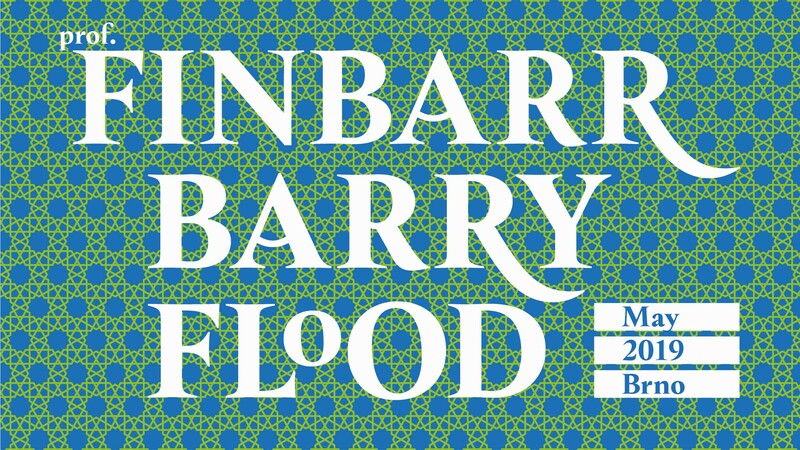 The Center for Early Medieval Studies at the Department of Art History (Masaryk University) would like to kindly invite you to the lecture series Islam and Image: Beyond the Bilderverbot of Prof. F. Barry Flood held from May 13 to 17 in Hans Belting Library. The lectures will take place each day from 10 to 12 a.m. and from 1 to 3 p.m. In these thematic lectures, focusing on the period from late antiquity to modernity, the construction of attitudes to images and image-making in the Islamic world will be considered. Drawing on a recent scholarly interest in aniconism and iconoclasm, the ontological status of images, their social function and material (in)stability will be discussed. This lecture series intended for the students of the Masaryk University will be followed by the Prof. Flood's Stredověc Jinax paper entitled From Trace to Print: Histories of an Islamic Image Relic. It will take place on May 30 at 7 p.m. in Hans Belting Library and will be opened to the public. The perception of Islamic art as an aniconic art is long-established and pervasive. The idea was canonized in nineteenth-century Germany by the coining of the term Bilderverbot (lit. image prohibition) to denote an antipathy to image-making seen as characteristic of both Islam and Judaism. On the one hand, this assumed antipathy to figurative art in the Islamic world is often said to have inspired the development of characteristic art forms: calligraphy, geometry and vegetal ornament. On the other, it is generally assumed to have inspired historical acts of iconoclasm, even up to our own day. And yet, neither the material nor textual evidence supports the idea of a blanket ban on the production or consumption of certain kinds of images in Islam. Moreover, accounts of the relationship between Islam and image by those outside the tradition are characterized by striking inconsistencies and paradoxes – at various times, for example, Muslims have been depicted as both iconoclasts and idolaters.